A reputable distributor should be willing to accept terms that protect a filmmaker’s interests. Many such provisions do not cost the distributor anything as long as the distributor lives up to the terms of its contract. A provision for interest on late payments, for example, costs the distributor nothing as long as payments are made on time. Such provisions are important because they encourage a distributor to live up to its commitments, and provide the filmmaker with a viable remedy in case the distributor defaults. Here is a list of some of the most critical ways for filmmakers to protect their interests. NO CHANGES: The film should not be edited, nor the title changed, without the filmmaker’s approval. Editing for censorship purposes, television broadcast and changes made for a foreign release, such as translating the title, is permissible. EXPENSES LIMITED: There should be a floor and a ceiling on expenses. Market expenses (the cost to attend film markets) should be limited to the first year of release and capped per market. Promotional expenses should be limited to direct out-of-pocket costs spent to promote the film and should specifically exclude the distributor’s general overhead and staff expenses. INDEMNITY: Filmmaker should be indemnified (receive reimbursement) for any losses incurred by filmmaker as a result of distributor’s breach of the terms of the agreement, violation of third party rights, and for any changes or additions made to the film. ERRORS AND OMISSIONS (E&O) POLICY: While it is generally the filmmaker’s responsibility to purchase an E & O insurance policy, distributors are often willing to advance the cost of this insurance and recoup the cost from gross revenues. In such an event, the filmmaker should be added as an additional named insured on the policy. LATE PAYMENTS/LIEN: All monies due and payable to filmmaker should be held in trust by distributor for filmmaker. Filmmaker should be deemed to have a lien on filmmaker’s share of revenue. Distributor should pay filmmaker interest on any amounts past due. WARRANTIES: Filmmaker’s warranties in regard to infringement of third party rights should be to the best of the filmmaker’s knowledge and belief, not absolute. SCHEDULE OF MINIMUMS: For distributors who license foreign rights (known as foreign sales agents) there should be a schedule of minimum acceptable license fees per territory. The distributor is not permitted to license the film in each territory for less than the minimum without the prior approval of the Filmmaker. 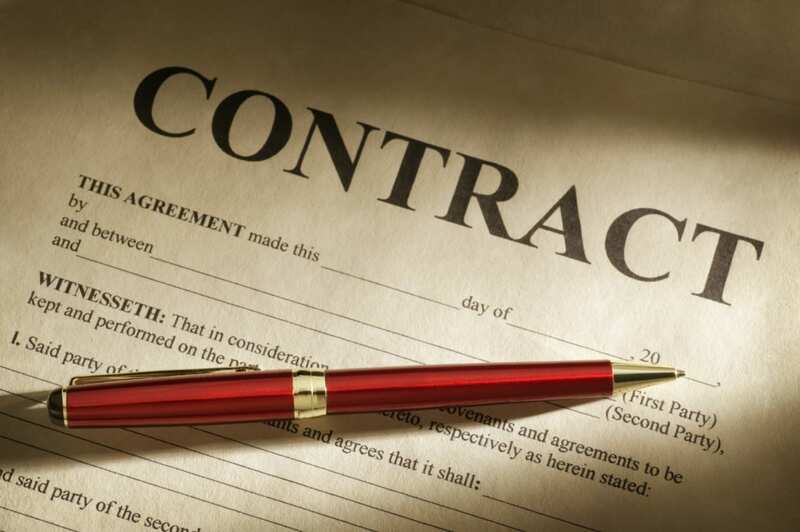 ARBITRATION CLAUSE: Every contract should contain an arbitration clause ensuring that all contractual disputes are subject to binding arbitration with the prevailing party entitled to reimbursement of legal fees and costs. The arbitration award should be final, binding and non-appealable. IFTA will now arbitrate entertainment industry disputes involving non-IFTA companies. The IFTA personal guarantee Rider can be used to bar a company’s chief executive from attending future American Film Markets if the company refuses to pay an arbitration award.